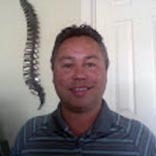 Dr. Jim Clapprood holds a Doctorate of Chiropractic from Palmer College of Chiropractic, in Port Orange. He and his beautiful wife, Kristen, have lived in Port Orange for the past 16 years, and have been blessed with two boys, Jacob and Connor. He provides adjustments in a variety of ways ranging from light force instrumentation to gentle hands-on manipulation, and focuses on restoring the body to health naturally. The nervous system controls the function of every cell, tissue, organ, and system of the body. Any misalignment in the spine can result in nervous system dysfunction. Dr. Jim knows that the correction of these misalignments helps the nervous system to function properly, allowing the body to heal and function optimally. He has helped patients ranging from 3 days to 96 years of age achieve optimum health and is thankful for the opportunity to help patients live their lives to the fullest.